Along with miniaturization comes power. An inexpensive laptop is much more powerful than a mainframe computer that occupied an entire room 20 years ago. The computers of the future will not resemble the laptops and desktops we are familiar with today. In fact, we are already well into this transition. Smartphones like the Blackberry and iPhone are perfect examples of this trend. These phones are capable of doing almost anything that a desktop or laptop can do. Many business people receive their email on their phone, review and revise documents and conduct research on the Internet with their smartphone. This unfortunately opens the corporation’s network to many more vulnerabilities, so companies will need to begin looking into third party solutions like the Dell Enterprise IT Management program that offer additional help to businesses looking to go mobile. Many even play action computer games on their phone. Future computers will be even smaller, more powerful and more intuitive to use. 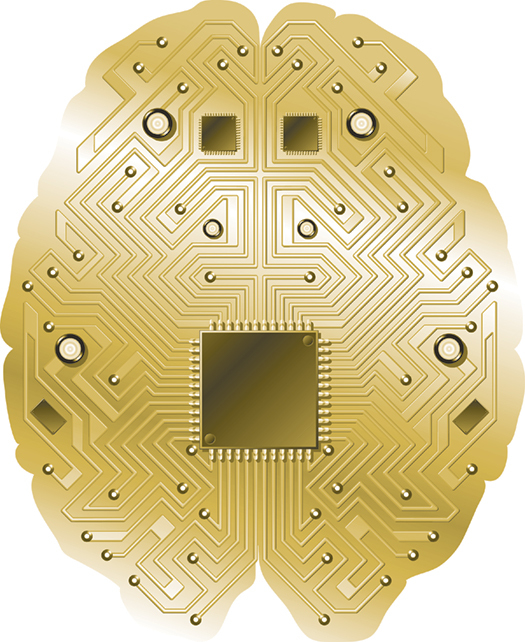 They will be comprised of a small chip that is embedded in a person’s brain. Simply thinking about surfing the Internet will be all that is required. This technology is currently being tested with quadriplegics. The chips are only used to help them control a robotic arms making their life easier. In the not so distant future, these are the computers our children and grandchildren will be familiar with.